When considering gold as an investment, it’s easy for inexperienced investors to assume that all gold is the same. After all, gold is gold, right? Whether you’re buying physical gold, such as bullion coins, or paper gold, like an exchange-traded fund (ETF), shouldn’t the value of each option be the same? The reality is, there are important differences between paper and physical gold that you need to consider. Choosing one over the other, without doing your research, could affect your future financial situation in ways that you may not realize. 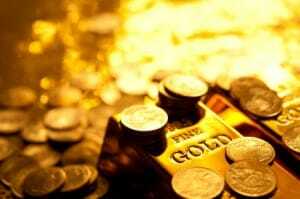 Remember, buying gold as an investment can offer numerous benefits. It allows you to diversify your portfolio, thus providing an extra layer of protection against stock market losses. And it can also help shield your money from the effects of the declining dollar and inflation, thus preserving your wealth in spite of future economic turmoil. But if you don’t invest in the right gold assets, then you may not experience all the benefits that gold has to offer. And in a worst-case scenario, like the one you’ll read about below, if you don’t have your gold in your hands or secured in a Precious Metals IRA, you could find yourself with nothing but a worthless piece of paper. Let’s look at some of the primary differences between paper and physical gold as investment choices. Paper gold: Paper gold gets its name from the fact that when you choose this option, you essentially just receive a paper certificate, rather than the gold itself. Examples include gold ETFs and other certificates issued by banks and mints. In the case of a gold ETF, owning a certain number of shares equates to having a certain percentage of physical gold, so the values are theoretically correlated with each other. But rather than buying real gold, you are essentially just buying and selling shares of a fund, as you would any other stocks. Physical gold: Physical gold is virtually any gold that you physically possess. Examples include official gold bullion coins and bars produced by government mints around the world. But ultimately, physical gold could also refer to gold you’ve dug right out of the ground. As long as you physically possess it, or have direct access to it, it’s physical gold. So, what’s the difference between paper and physical gold, and which one is better? Paper gold may be good for those who want to trade the metal like a stock and try to make a quick profit gambling on market fluctuations. But if you’re looking to maximize the immediate and long-term benefits of gold, then this option is not for you. Purchasing physical gold ensures that you actually own your gold, regardless of what happens to the economy or the markets in which paper gold is traded. It’s also important to note the price of paper gold can be influenced by several factors beyond the market value of gold. For example, in a sudden sell-off of one particular gold fund, the fund’s price could drop significantly, while real gold prices could remain stable. And remember that worst-case scenario we mentioned above? Consider what might happen in an economic crisis if banks, regulators and lawyers are desperate to restore stability and protect the largest holders of real gold. Laws can be changed. Trading can be halted. Suddenly, your ability to exchange paper gold for physical gold (which is already a difficult process for the average investor), could be blocked. All you’d be left with is a paper certificate – now virtually worthless – while those who own real gold would suddenly be the most protected from the financial crisis. All that said, don’t stress about the idea of buying gold. You’ve already made a great decision by considering gold as an investment. Let Birch Gold Group help make the choice obvious and easy. Click here to request a free investment kit, or call (800)355-2116 to speak with one of our knowledgeable specialists.